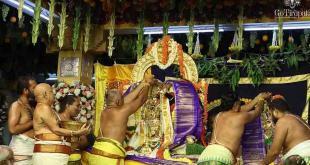 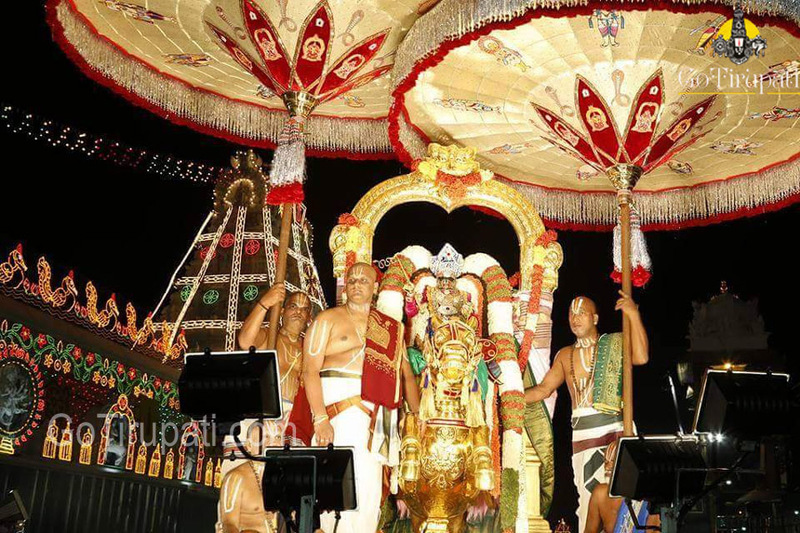 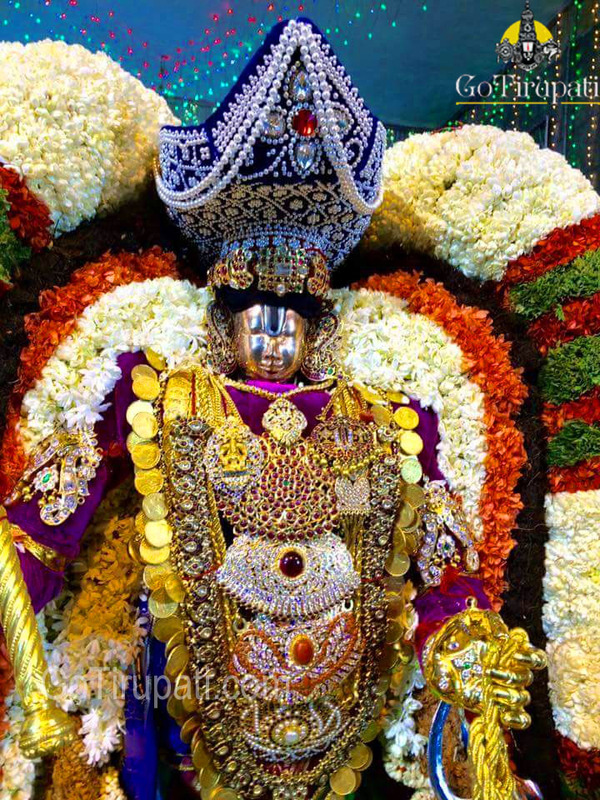 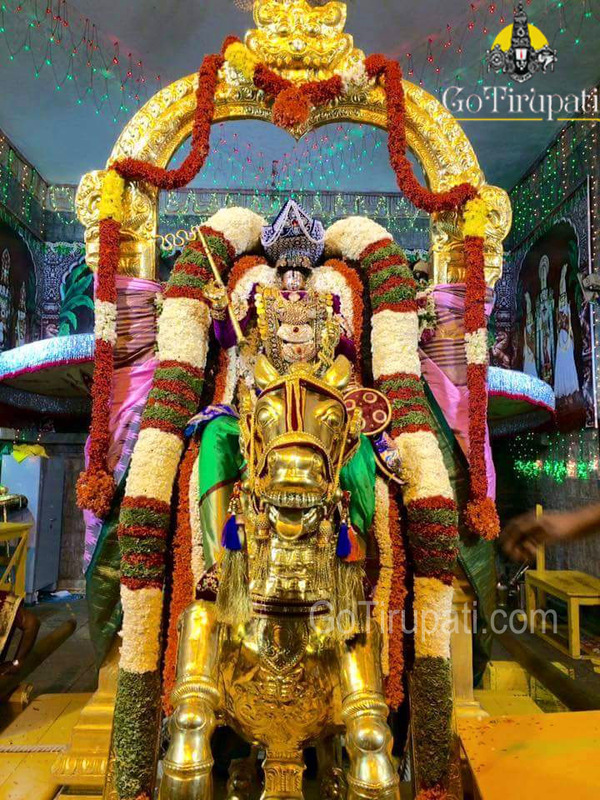 Tirumala, 23 September 2015: Lord Sri Venkateswara Swamy takes a ride on Ashwa Vahanam in the evening of eighth day of the Srivari SalaKatla Brahmotsavam-2015 and enthralls pilgrims who descend to the hill town as the festival reaches a crescendo and marches towards conclusion. 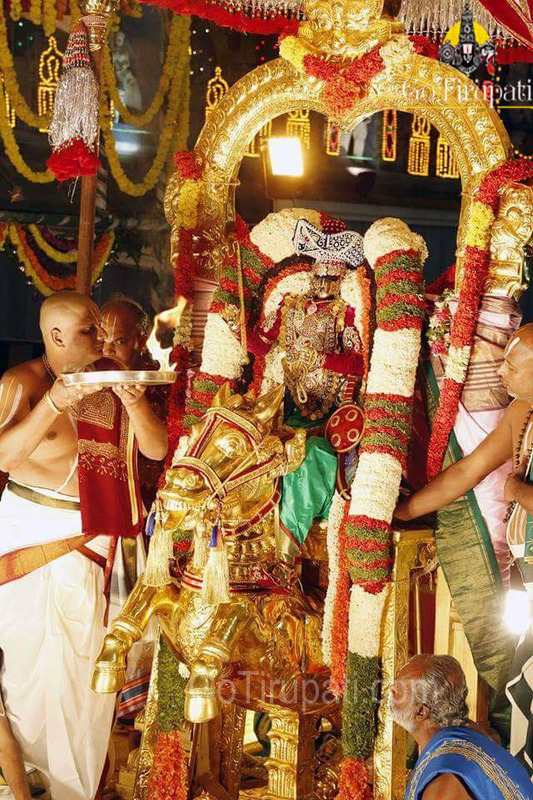 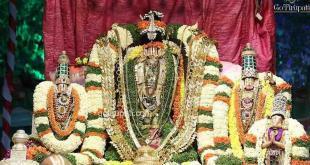 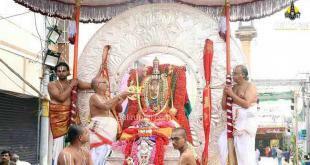 The Kalki avatar of Lord Sri Venkateswara is hailed as the most significant in the celestial lore’s of Malayappa. 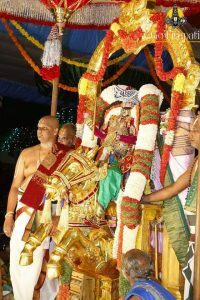 The Horse (Ashwa) is described as the only living being to get a rare and unique opportunity to witness the first meeting of Lord Venkateswara and his consort Goddess Padmavati, their romance which finally culminated in love and wedding.